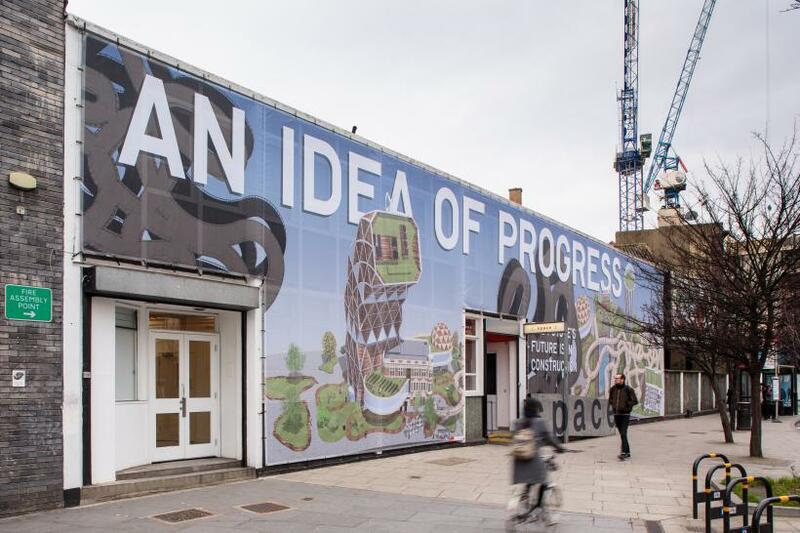 The first thing you notice about ‘An Idea of Progress’ is the huge 6 x 24m banner displayed on the outside of SPACE on Mare Street. It displays a cartoonish, mostly green vision of a fictional structure that takes in all the usual platitudes found in renders for new developments – a diverse cast of happy and engaged people, music, leisure, roof gardens, a festival vibe and leafy open flats. There is even a hollowed-out Georgian building with its original façade left on for posterity. 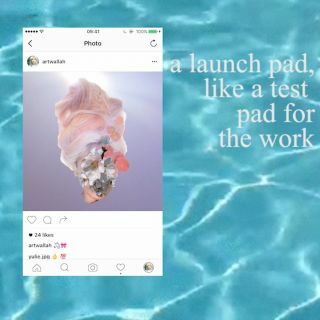 What’s interesting here is that the image was made after interviewing local Hackney residents, asking them what they looked for in new additions to the area. It ends up so well parodying a sponsored corporate vision that you’d be forgiven for thinking that the banner was simply another legitimate brand campaign for a new ‘cultural hub’ or box park style landmark, and I was surprised there wasn’t a catchy Gherkin/Walkie Talkie style name attached to it either. It’s a compelling comment on the way companies market urban renewal and an excellent use of SPACE’s location in Hackney – a borough consistently at the epicentre of any debate on gentrification. 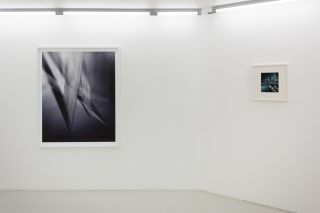 Inside the gallery, Argote’s vision is more focused on the repetitive spaces these developments create. 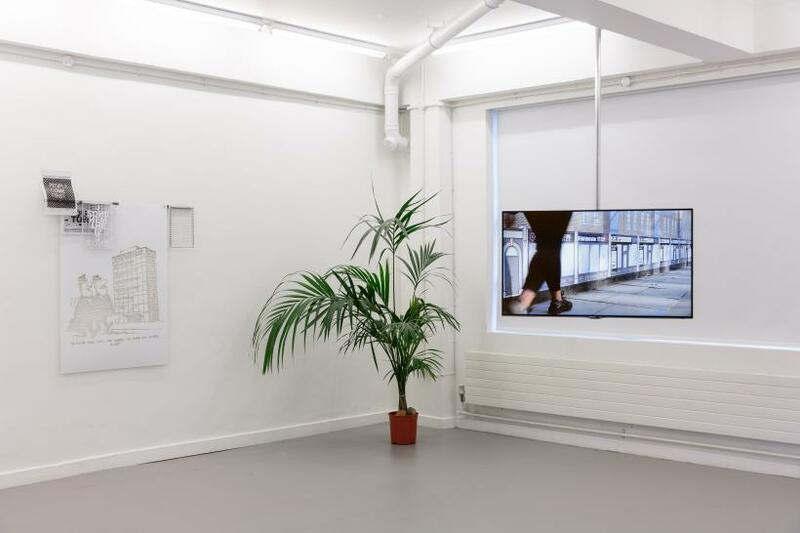 In the middle of the room is a video installation made by the artist that captures a vision of London where actual human residents are hardly present (they’re surrounded by traffic if anything). 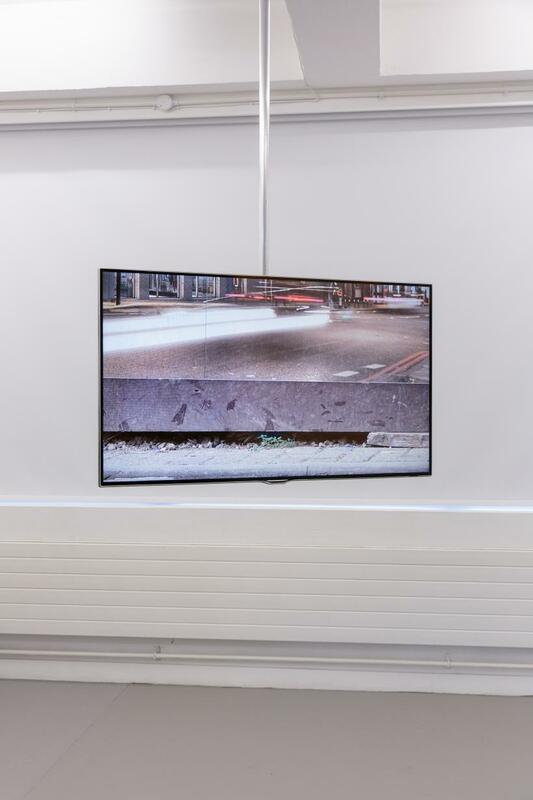 As the camera pans downward, the viewer is taken to scene after scene of forgettable new builds, model interiors, renders, construction and road works. London is shown as an ever increasingly built-upon mass that somehow always feels exactly the same, all soundtracked by a slow monotonous drum beat and unintelligible voice. On the other side of the room is a video interview with Argote himself, describing his work and perspective. It also follows him around Hackney filming (he describes his style as a “smoothness of camera”). 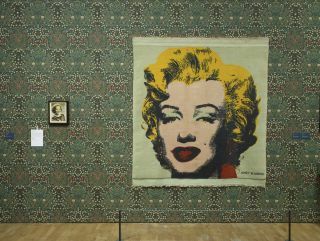 The artist, now based in Paris, shows us that these issues are relevant to so many cities that have strong artistic communities and that the exhibition is about “confronting urban conflict head on”. 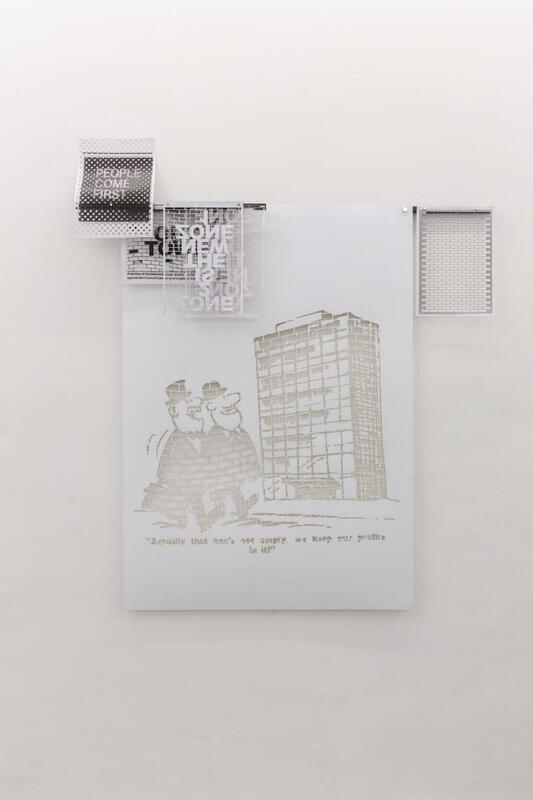 On the walls of the exhibition are stencils of anti-capitalist political cartoons and slogans taken from Hackney archives of local residents, who in the 1970s were equally concerned about the effects of corporations buying up swathes of buildings in the area. Although this is a strong testament to the long-term resilience of the borough it’s also a reminder that these problems have always existed and aren’t being challenged by many above a grass-roots level. 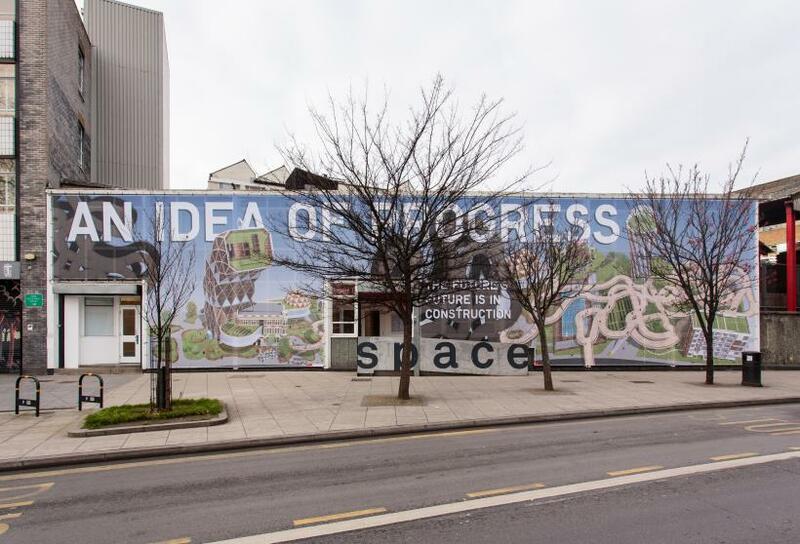 ‘An Idea of Progress’ claims to look towards the future and asks Londoners to ‘rethink our ideas about growth and development ... what sort of city do we desire ... whose city, whose progress?’. 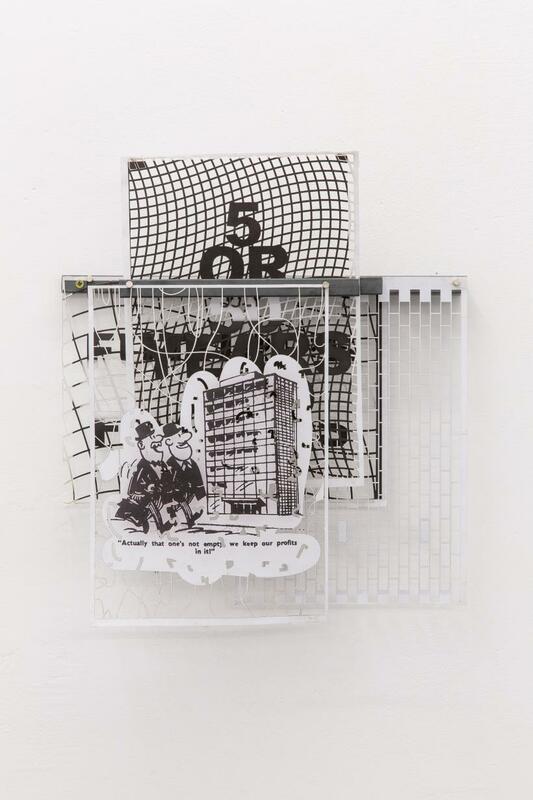 Whilst these are valid questions to consider, the exhibition is, in reality, a smartly observed, if depressing, screenshot of the jargon, idealism and realities of London’s contemporary urban environment.